My bus doesn't have a name, but I refer to it as Red occasionally. A friend of mine insists on calling it Lucy. Today, I'm calling it 40. According to the M code, The production dave was Tuesday, May 19, 1970. 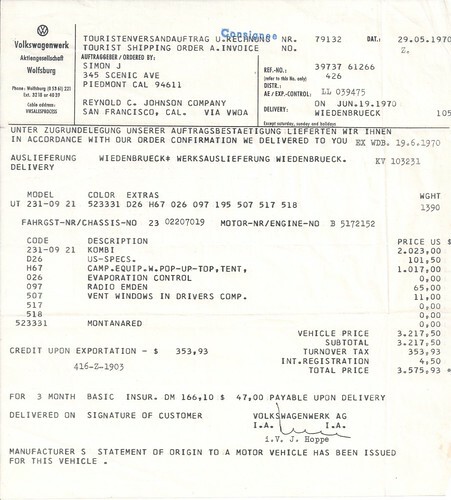 It was special ordered via the "tourist program" from Reynold Johnson VW in San Francisco, via Volkswagon of America. Mr. Simon of San Jose picked it up at in Weidenbuck on Jun 19, and according to the service stamps, it went to France, Barcelona, and England before being shipped to Santa Clara. My Aunt and Uncle bought the vehicle approximately one year later while attending college in Santa Clara. 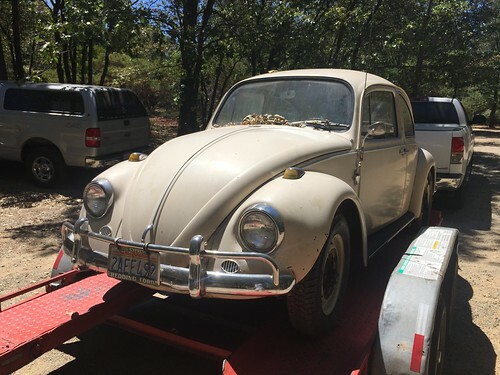 They owned it, and took their kids on vacation in it, broke down in it, and went all over the west coast from 1971 until 1989, when I purchased it from them while attending college. 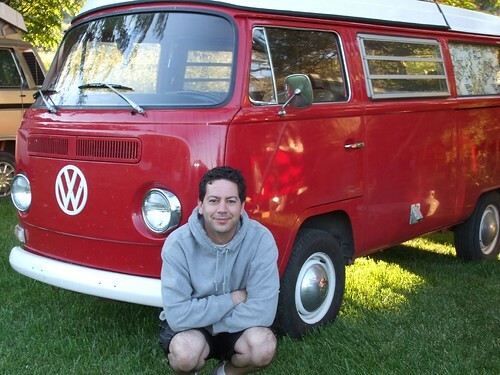 Since then, I had the engine stolen while I was working on it 1989, the pop top burned up in the Berkeley Hills fire in 1991, the entire body was stripped and repainted in 1999. This year, it is getting a new engine. My scanner is acting up, so I can't post older pictures, but I'll send you here instead. Happy Birthday happy car. You have taken me places I didn't know I could go, and given me endless memories. But if you are going to do something cool, do this.